Safe365 SD Card Data Recovery Wizard supports all types of memory card including SD card, mini SD card, micro SD card, SDHC, MMC, XD card, CF card, memory stick etc from 256 MB, 512 MB, 1 GB, 2 GB, 4 GB to 64 GB. 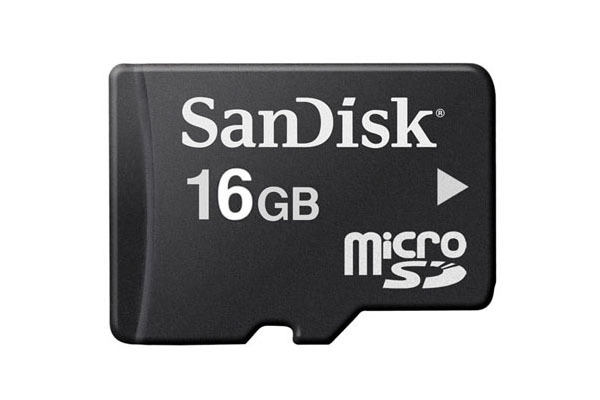 Various brands of memory cards are supported such as SanDisk, Toshiba, Lexar, Phillips, LG, etc. When such thing happened, be sure not to take more pictures and write new data on the same Micro SD card before you recover them. Then use Safe365 SD Card Data Recovery Wizard to retrieve deleted data from Micro SD card. 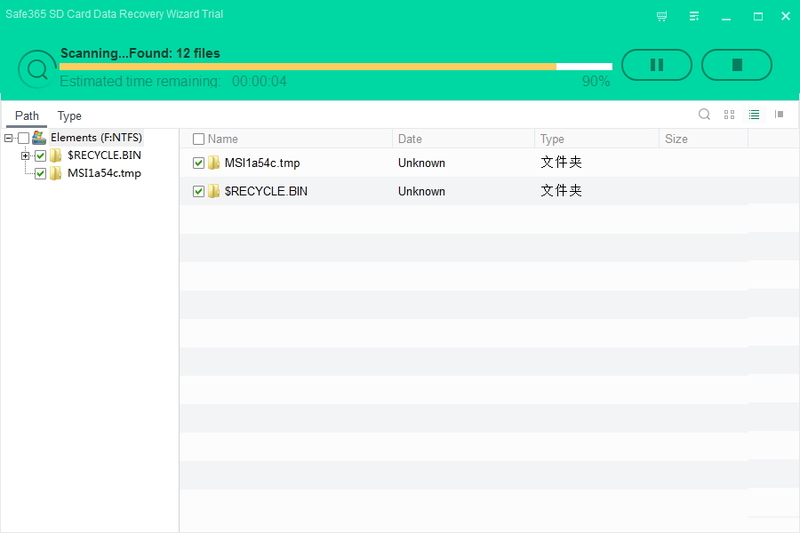 Recover Any Lost, Deleted Data With Micro SD Card Recovery Software in 3 Steps. Step 1. Connect your Micro SD Card to your computer. 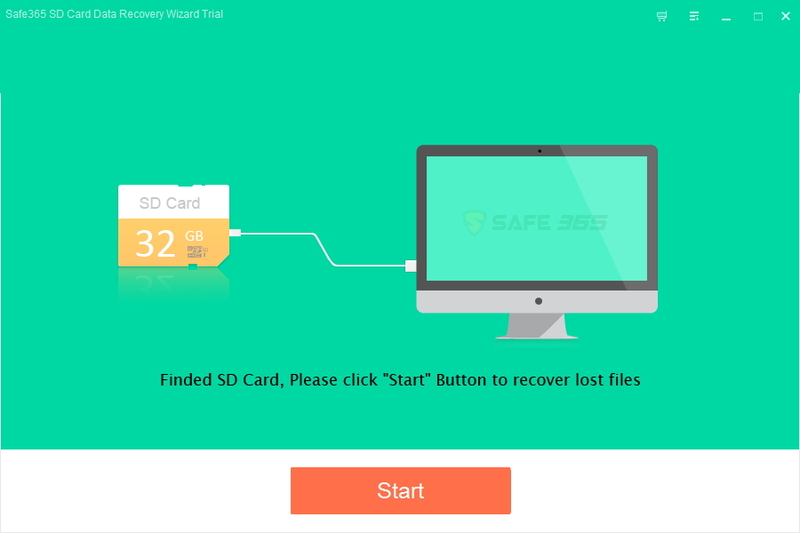 Launch Safe365 SD Card Data Recovery Wizard, click "Start" button to the next step. Step 2. Select the disk where you lost your data and choose file types you want to recover then click "Scan" to go on. Step 3. When scanning complete, all recoverable Micro SD Card files are revealed. 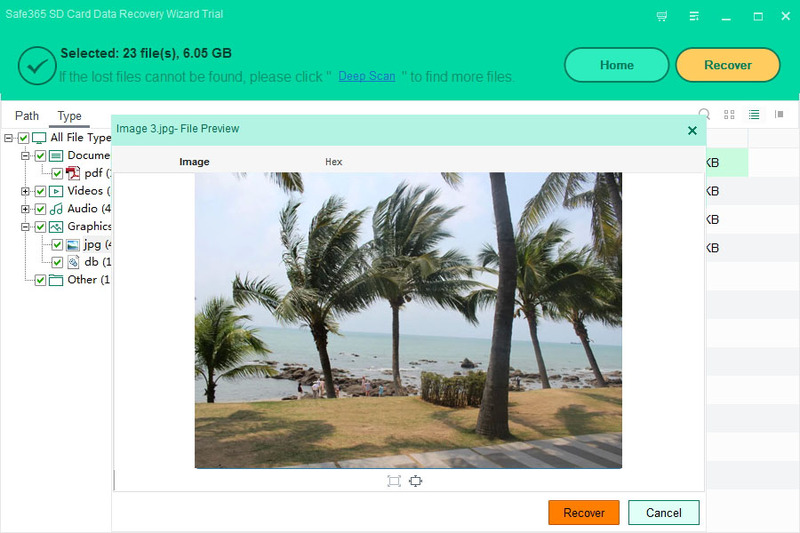 Preview all the listed recoverable files one by one and select out those you want, click "Recover" to get lost data back from Micro SD Card.